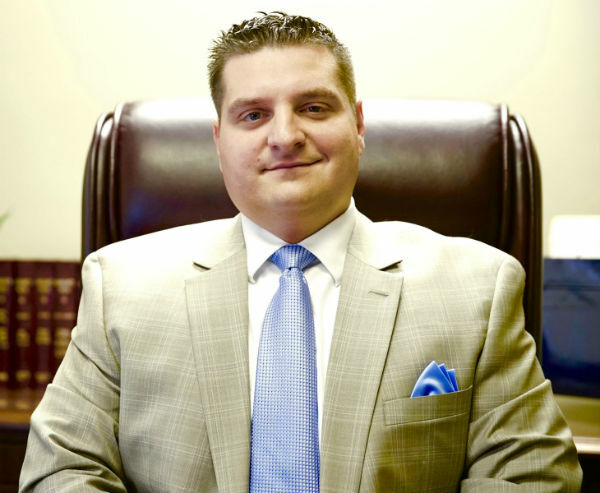 Attorney Moraski is experienced with handling DUI/OUI cases and he is ready to use his experience to help you. Fighting a drunk driving case presents so many questions as to whether you run the risk of being incarcerated, losing your license and for how long, and what is the best solution for my particular circumstance. Difference Between OUI / DUI / DWI? For example, it is possible to be charged with an OUI Offense for just having the keys in your ignition even though the vehicle is parked on the side of the road. If you have been arrested for an OUI in Massachusetts and you would like to discuss your options with an experienced OUI Attorney. The first question that I often get asked by clients is what is the difference between an OUI/DUI/DWI? The short answer is it really just matters what state you get arrested in and how that particular state phrases an Operating Under the Influence Charge. In Massachusetts, an OUI stands for Operating Under the Influence, where as other states use DUI which stands for Driving Under the Influence, or DWI which stands for Driving While Intoxicated. Because Massachusetts uses the acronym of OUI for Operating Under the Influence Cases, my website will also use the acronym OUI when speaking about Drunk Driving cases. The one minor difference in Massachusetts is that operating a motor vehicle does not actually mean that you have to be driving the vehicle on the road and be behind the wheel. In Massachusetts, Operating a Motor Vehicle can mean that the operator simply has the ability to set the vehicle in motion, as opposed to actually driving the vehicle. The short answer is because the penalties for an OUI 1st , OUI 2nd and OUI 3rd Offenses are pretty similar whether you lose at trial or plead to the offense. The reward of taking your case to trial and beating it, typically far outweighs the license loss, penalties, fines, probation costs, alcohol education classes and insurance rate hikes. In addition, an experienced attorney can make a Jury or Judge understand the tough test conditions that you were forced to perform under when taking Field Sobriety Tests. Oftentimes, my clients are forced to do Field Sobriety Tests late at night when it’s dark out, with traffic whizzing by, with police cruiser lights in your eyes, while another police officer shines a flashlight at you or a spot on the road, not to mention the weather conditions. Since the passage of Melanie’s law in Massachusetts, Law Enforcement Officers are trained to look for OUIs and they are vigorously enforced. However, Law Enforcement Officers often arrest citizens out of caution rather than let you get back in your car and run the risk of hurting someone. That’s why so many arrests are made, but that is also the reason why a careful and aggressive cross examination of the arresting officer can lead to a Not Guilty, after a trial is conducted. This does not mean that every OUI Case should be taken to trial, please see (link to) Why Plea Your OUI Case. For example, if your license was suspended for 180 days because you refused the breathalyzer, you can move for a quick trial that occurs before the 180 days has lapsed. So, if you have your trial 120 days after your arrest and breath test refusal, and you get a Not Guilty or Dismissal of the charges, you can petition the Court to immediately restore your license. The hearing to restore your license favors you because there is a, “rebuttable presumption that said license be restored.” If the Court allows the Motion to Restore your license you can go down to the Registry of Motor Vehicles (RMV) with the endorsed Court Order and have your license restored immediately. Sometimes after reviewing the facts of your OUI Case, it becomes time to minimize the damage and work out a good Plea Deal in your case. Even though I emphasize the Trial Phase in OUI Cases, there are times where it is just a waste of your money and time, by taking your case to trial. Not to mention the added stress and potential consequences of losing your case at trial. One example of a case that is not a Triable case, in my opinion, is a case where there is an accident, you are seen leaving the bar, you fail every Field Sobriety Test miserably, you are rude to the arresting police officer, you take the Breathalyzer back at the police station and blow three (3) times the legal limit and you vomit at the police station. The above-mentioned case is an extreme example, but these types of cases happen where someone just had a bad night and made some bad decisions. In a case like that, an experienced OUI Attorney minimizes the damage that has already been done, talks with the prosecutor handling the case for the Commonwealth, and puts together a good Plea Deal that can hopefully be accepted by the Court. Again, most cases are not so Black and White and they need to be evaluated individually. After reviewing the facts with you, I will be able to give your case an honest evaluation to help you make the decision of whether to take your case to trial or not. Another reason to plea your case might be to protect your record. If you are charged with an OUI 1st Offense you can receive an alternative disposition I which you can receive what is commonly referred to as a CWOF. With a CWOF you will be placed on probation for a certain duration (usually one year) and if you successfully complete probation you will have a Dismissal on your record. Even though a CWOF will still be treated as a Guilty by the RMV purposes and if you are ever charged with an OUI again it will be considered a 2nd Offense by the Court; you will however be able to protect your record for future career opportunities. If you need help deciding about what the next step in your OUI case should be, contact Massachusetts OUI Attorney Paul R. Moraski today at (978) 397-0011.